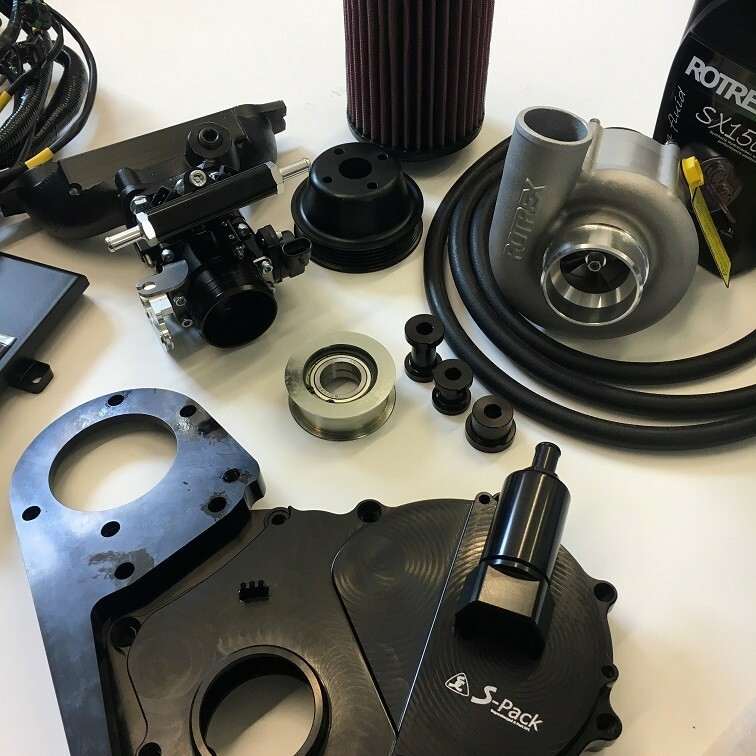 A brand new exciting package from Specialist Components! 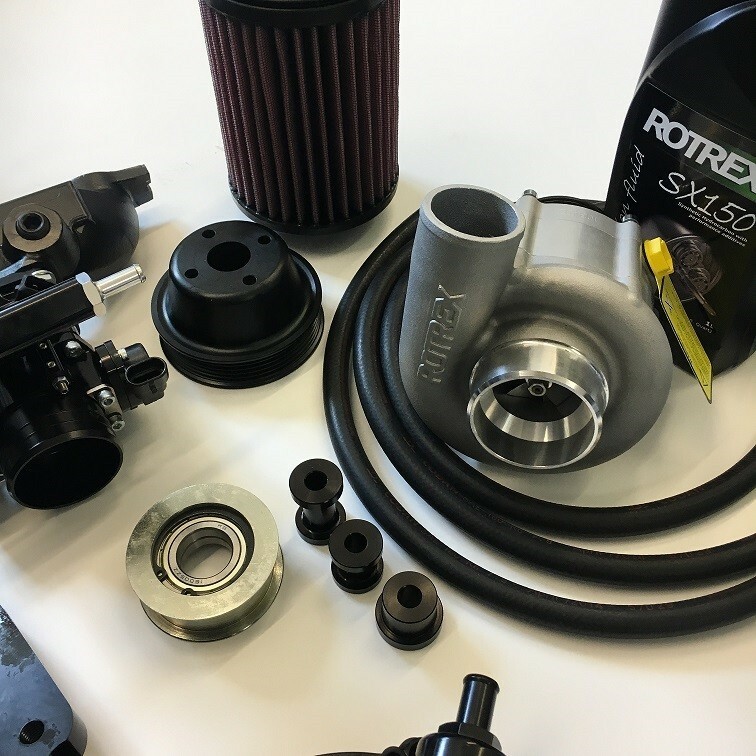 Packaging a Rotrex supercharger into the Mini engine bay combined with our throttle body system creates the ultimate in supercharger systems for your Mini. 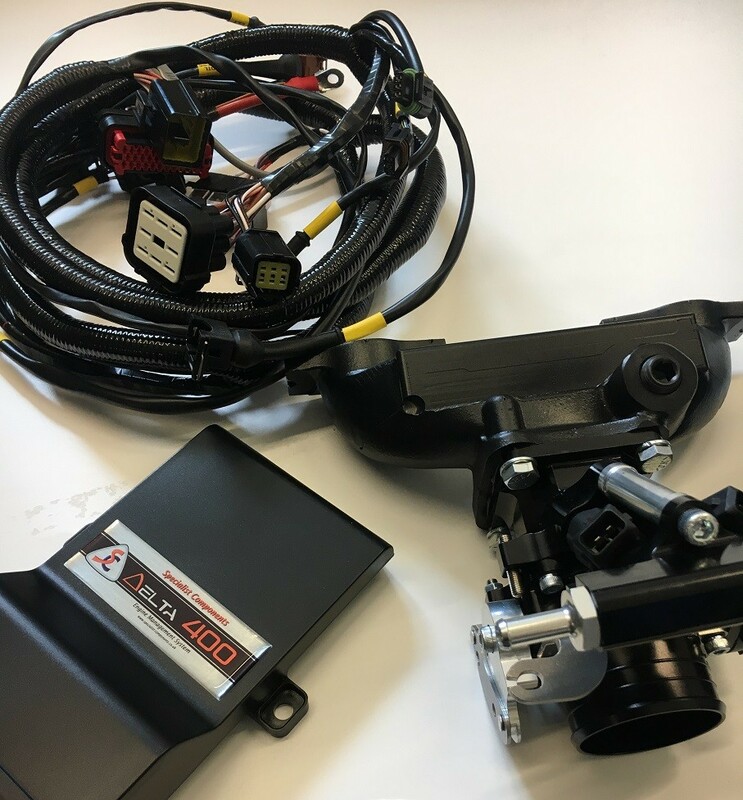 Based around the MPI engine, we offer levels of kit to allow use on an MPI Mini or transplanting that engine into a conventional Mini with our tailored fully built wiring looms. 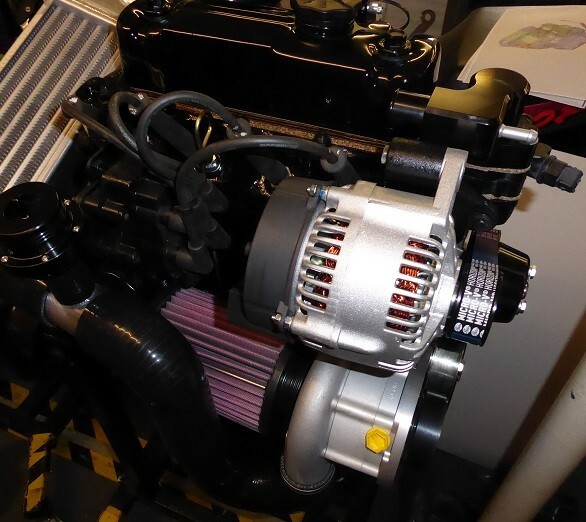 We chose the MPI engine due to the relocated alternator and oil filter creating just the right amount of room for our chosen supercharger without any body/chassis modifications. 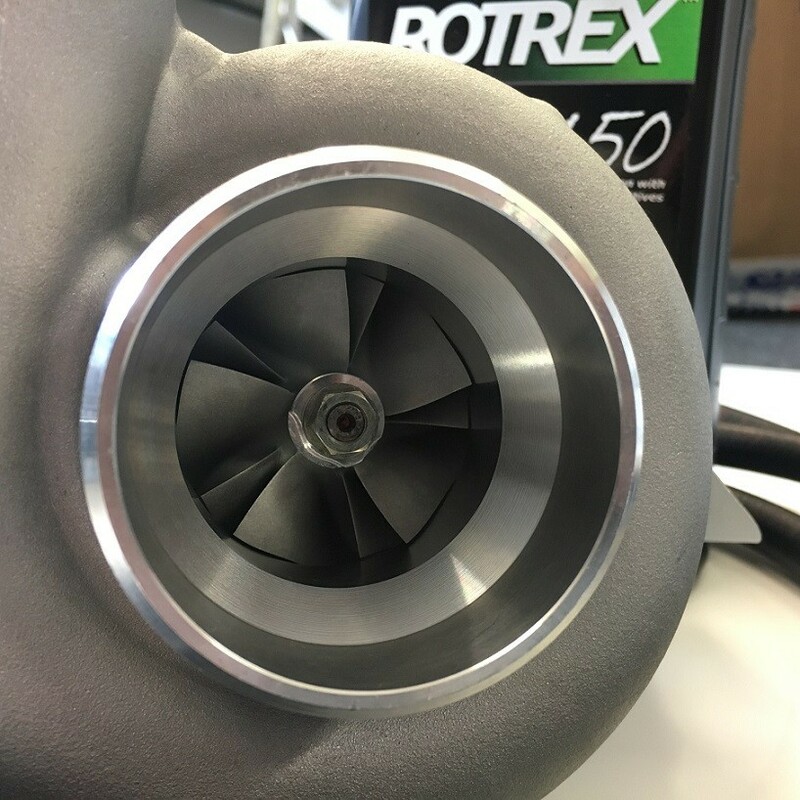 Our system is the only "blow through" system available meaning we add the fuel at the cylinder head into the boosted airstream allowing superior control of fuelling at all levels of tune. 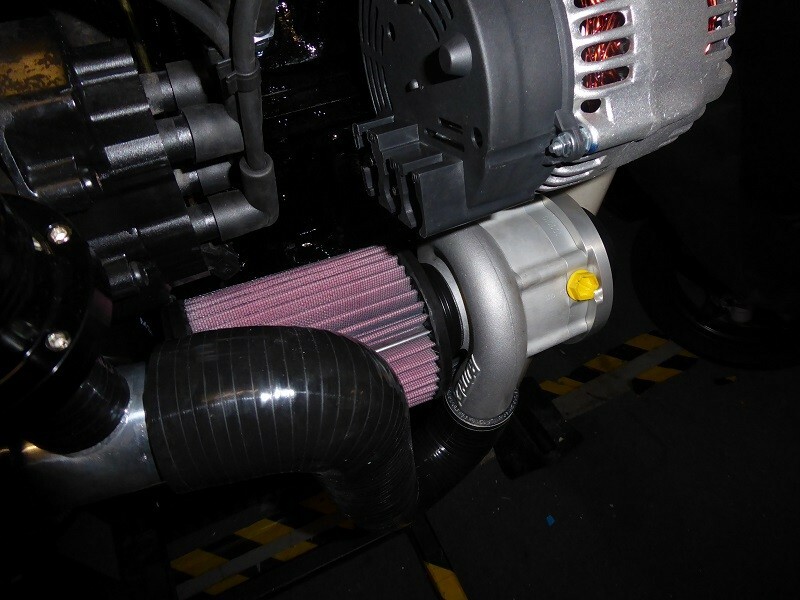 We also run conventional compression ratios for greater off boost performance and economy. Our highly developed ECU system allows control of the spark advance to keep the engine at peak efficiency and safe. We are developing three specifications ourselves, one based on the standard MPI camshaft and cylinder head that has been designed as a drop on conversion with no internal modifications. Stage 2 is the Swiftune SW5 camshaft combined with our supersport spec cylinder head - tailored for supercharger use, 1.4 rockers. Stage 3 is as per stage 2 except for the SW10 camshaft being used instead of the SW5. Each level of tune will have the boost altered to suit the application via different diameters of crankshaft pulley. The good news is the base kit stays the same no matter what power level you are tuning for (the supercharger will support 220+hp), the only change being the crankshaft pulley. We will advise pulley dia to customers at point of order. This kit has designed to bolt on to your MPI engine without the need for further modification. However, we have also designed and tested the kit to work with our SuperSport cylinder head and both the SW5 and SW10 Camshafts. Therefore we can offer the cylinder head and/or camshaft kits and a combined price, saving you money on individual prices. New collets, top caps, seats etc. Uses standard cylinder head studs. All surfaces machined for maximum gasket sealing. By purchasing the Supersport cylinder head with this kit, you save £100 compared to purchasing the head seperately. PLEASE NOTE! WHEN PURCHASING WITH CYLINDER HEAD, SELECT COLLECTION IN PERSON AT CHECKOUT AND CONTACT US FOR A SHIPPING QUOTE. PLEASE CONTACT US REGARDING THE CRANK PULLEY SIZE. THE SIZE OF THE PULLEY WILL DETERMINE THE LEVEL OF BOOST. IT IS IMPORTANT THAT WE ADVISE YOU ON THE CORRECT SIZE OF PULLEY TO ACHIEVE YOUR INTENDED POWER LEVEL.